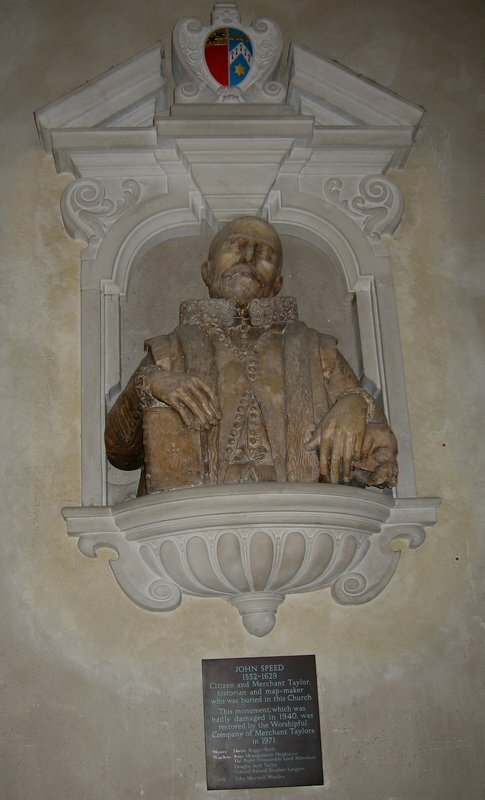 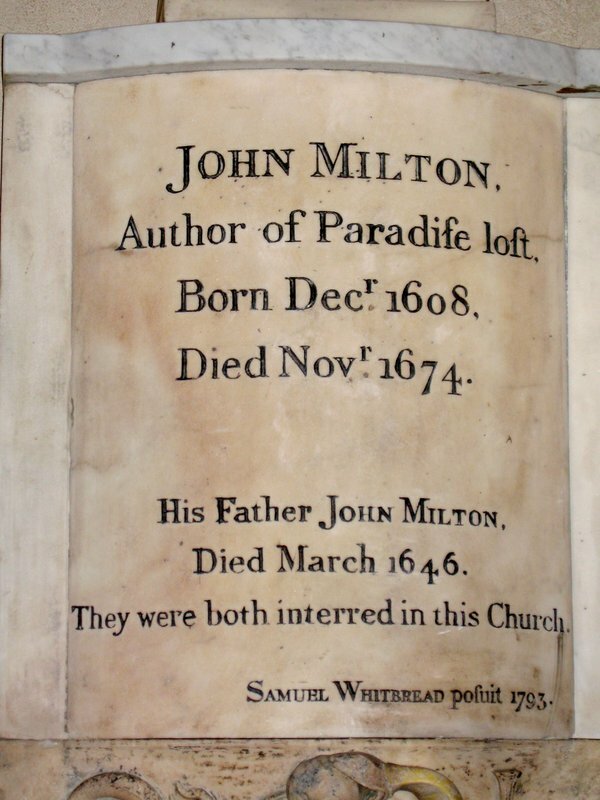 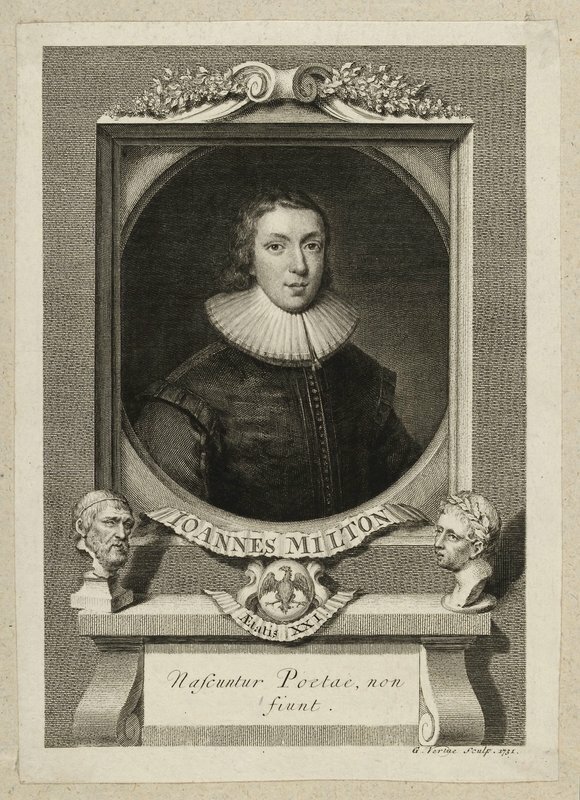 St Giles is the burial place of cartographer John Speed and the poet John Milton. 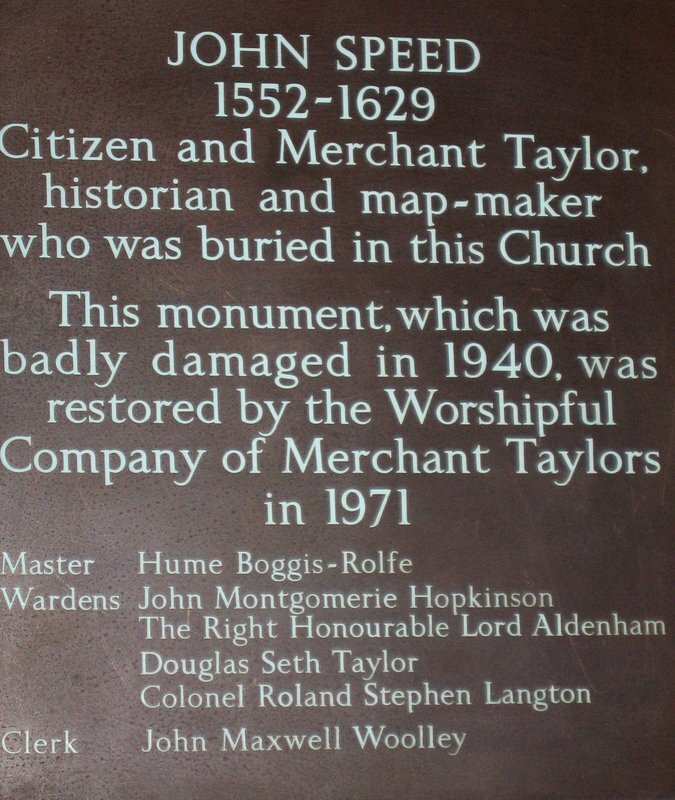 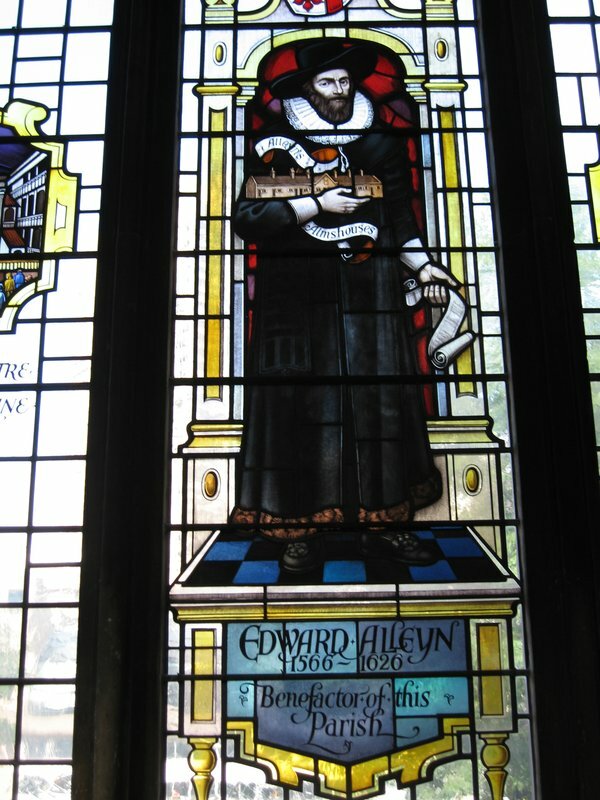 It still survives today, despite suffering extensive damage in the bombing of London in the Second Word War as well as stained glass windows picturing Edward Alleyn and the local Fortune Theatre. 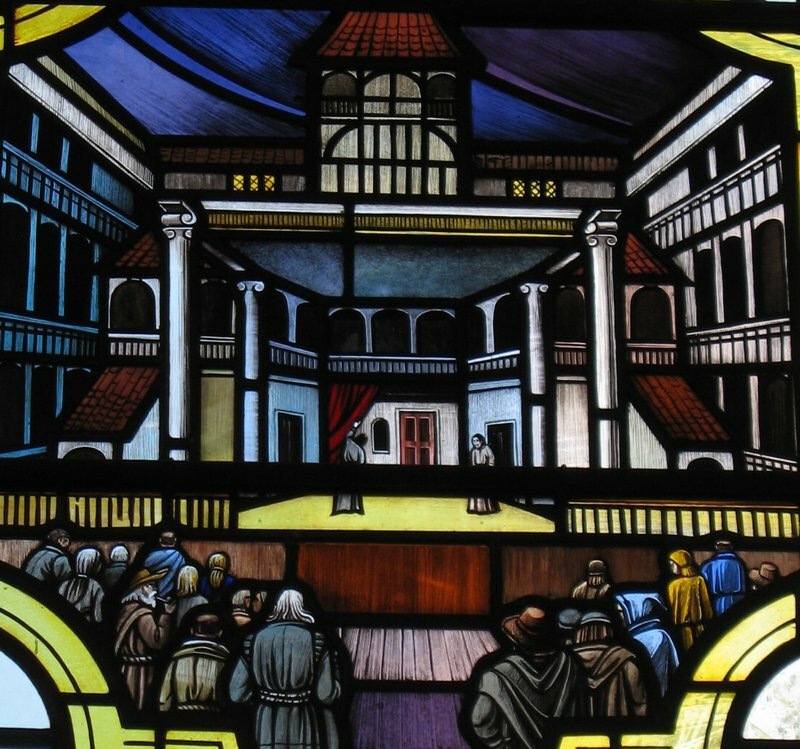 The church (now in the Barbican site in London) is a ‘Shakespearean London Theatres’ site owing to a number of important theatre-related burials in the church. 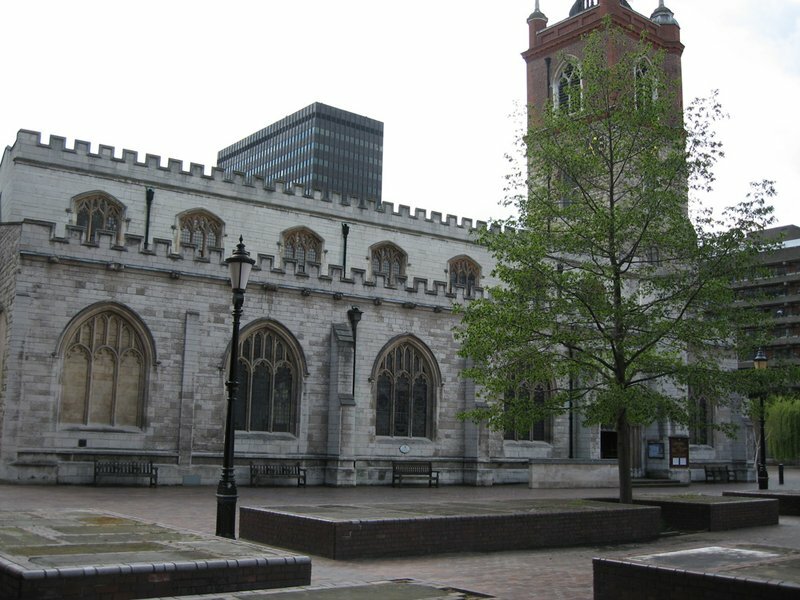 From St Paul’s Underground Station walk along Cheapside, turn left into Foster Lane, walk past the Goldmiths' Hall into Noble Street, and at the junction with London Wall note the old site of St Olave’s, Silver Street. 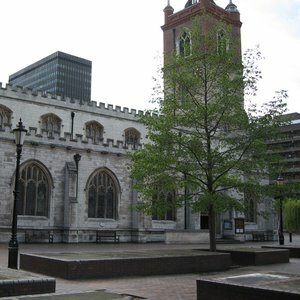 Cross the road at London Wall and find your way through the Barbican site to the church.